At this year's Chelsea Flower Show we launched a beautiful addition to our ‘Modern Classic’ range called 'Sandringham' named after the much loved royal residence here in Norfolk. Rachel de Thame kindly presented the first blooms of 'Sandringham' to Martin Woods, Head Gardener of the royal estate. This exquisite rose was given its name after the annual Sandringham Flower Show in 2014, when His Royal Highness The Prince of Wales and Her Royal Highness The Duchess of Cornwall were presented with a choice of three new seedlings from our collection. 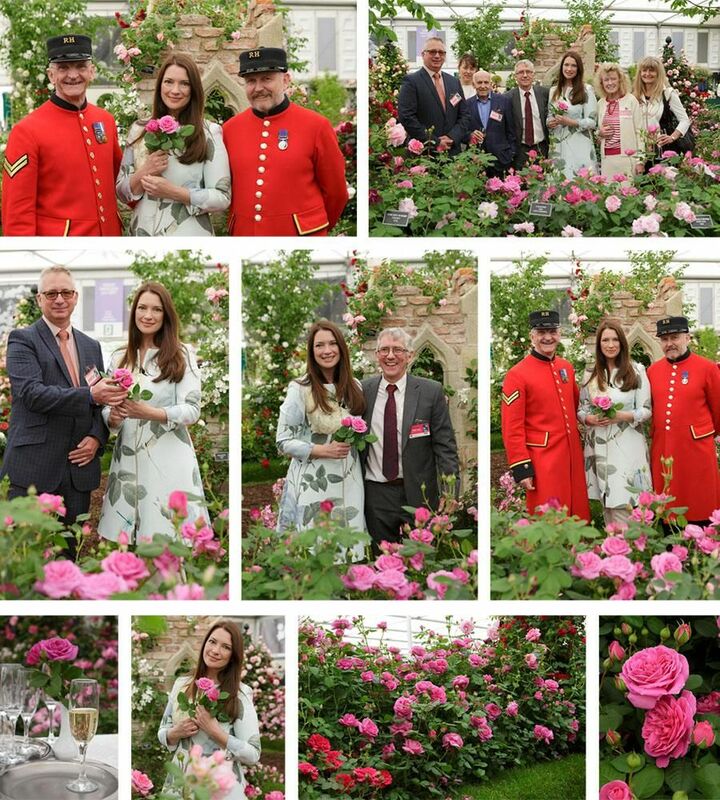 The Duchess of Cornwall chose the deep pink and intensely perfumed seedling which was agreed would be named after the beautiful royal residence. In preparation for the official launch this year, some 50 plants have been maturing in the glorious 24 hectares of gardens in which Sandringham House is set. Sandringham is the much-loved country retreat of Her Majesty The Queen, and has been the private home of four generations of British monarchs since 1862. The house, is perhaps the most famous stately home in Norfolk and is at the heart of the 8,000-hectare Sandringham Estate, 240 hectares of which make up the woodland and heath of the Country Park.